Freedom Youth Project Foundation (FYP) is focused on building a better community for children to grow up. All children, regardless of socio-economic factors have some risk of being targeted by human trafficking predators. We are looking for volunteers and interns who are interested in our community and care about issues related to children, youth, and human rights. It is not necessary that volunteers and interns already possess subject matter expertise related to human trafficking. Volunteers and interns are provided access to information which will provide this area of knowledge. We provide a variety of volunteer and intern options in order to meet your needs and schedule. Finding the right fit for you is a key component for a positive experience. We look forward to hearing from you and seeing how we can work together to create a brighter future for our communities. 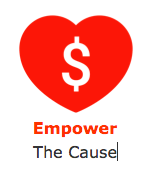 You can be a change agent by bringing empowerment to those with the most risk of being impacted by human trafficking. Pre-target age, and target-age youth as well as their parents often are blind to an issue which can affect their lives profoundly. Be a Messenger of Empowerment to those who Need it Most. From anywhere on the planet, you can join forces with a team of cause-minded people located in around the nation and occasionally in other countries. With a computer and an internet connection, and a small time commitment you can do project work, research, author, build web content and training used to bring empowerment to our community. Help us build financial support of our mission of empowering youth, families and communities from human trafficking. There are many ways to help us build financial support, like helping to organize events which raise funds, keeping supporters updated on our work and accomplishments, to working on grants. Be the Empowerment Behind the Mission.